In these days of rising costs, customers are more likely to shop around for the best prices on everything. Most cat owners will not consider a difference of a couple of pounds significant when choosing a cattery, it is none the less essential to be aware of what other catteries are charging. You will need not only to keep your prices competitive but also to maintain a high profile. Every cattery owner should keep a record of names, addresses and telephone numbers of each customer. Sometimes a cat will only be boarded with you once but you should nevertheless keep details, complete with dates. During the winter when the cattery is not so busy it is worthwhile looking through the records and noting customers that have not used your cattery in the previous twelve months. It could be that they no longer have their cat, or their domestic situation could have changed so any card/note that you send them would need to be carefully worded. You could follow up the card/note with a phone call. Although it can seem quite difficult to contact people in this way, most cat owners will be pleased that you remember them and more importantly that you remember their cat. If a customer that has used your cattery for years suddenly stops coming, there will be a good reason, your job is to find that reason. If it is a case of cost you could offer to meet whatever price they are currently being charged. Everyone is looking for ways of saving money and cattery customers are no different. There are a few incentives you could offer to keep a loyal and regular client base. Many regular customers will, apart from their annual holiday have a few weekends away each year. It could be for a family wedding or get together or simply a weekend break. 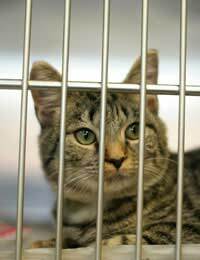 To bring their cat into your cattery will not only cost them a few pounds (most catteries will have a minimum stay charge) but will take time. Many cat owners would rather leave their animal at home with a neighbour to look after, rather than go to the trouble and expense of using your cattery. In the first instance you could offer to collect and deliver the cat at no charge. This might seem a small gesture but you could be surprised at how appreciative a busy person would be. For your regular customers one weekend a year free of charge would not break the bank but would once again be highly appreciated. It is essential to attract new customers to your cattery. When a potential new customer contacts you, apart from answering their questions you should always invite them to come and look around all you have nothing to hide. If they can only come outside your normal opening hours be flexible. If they feel nervous about leaving their cat for a fortnight while they are on their annual break suggest a weekend stay while they are at home. If for any reason the cat really can't settle (very unlikely) they will be happy that they have found out. The most likely scenario is that the cat will be perfectly alright and the new customers will feel happy about booking for the fortnight. Even when you are fully booked you should be thinking about promoting your cattery. Make sure that any advertisements you have are kept up to date. If you put cards in your local vets' surgeries, renew them occasionally. Talk to the vets' receptionists at the same time, show an interest in their work and they will show an interest in you. If you advertise in the window of your local newsagents make sure that your card can be seen and not buried behind other cards. Make friends of your local pet shop owners, buy some cat treats or toys and let them know that they are for the cattery cats. The main thing is to talk to people and promote your cattery in any way you can.